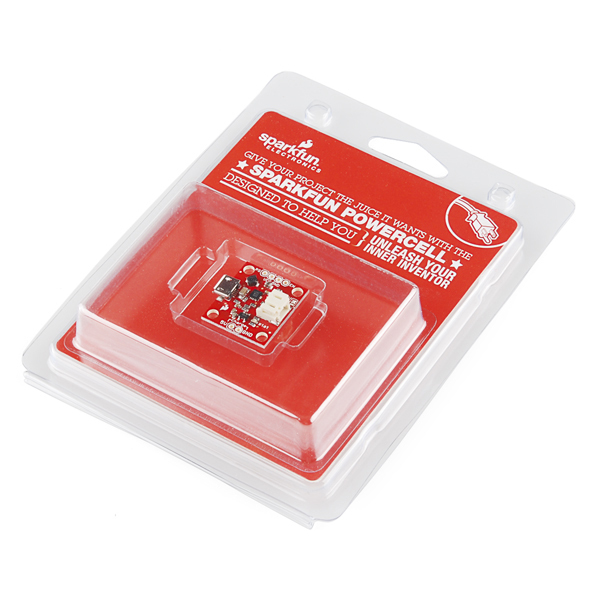 This is the same product as the Power Cell - Lipo Charger/Booster. 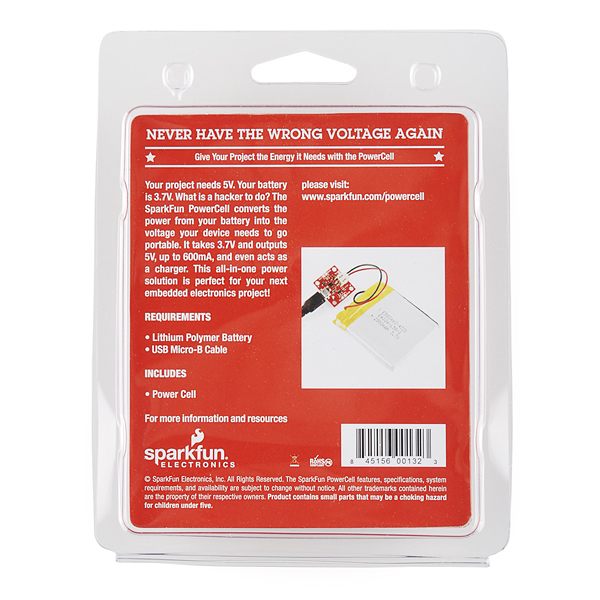 The difference is this version comes in fancy clamshell packaging meant for our distributors that need it. Regular customers are welcome to order, but we want to limit the amount of extra packaging finding its way into the trash heap. 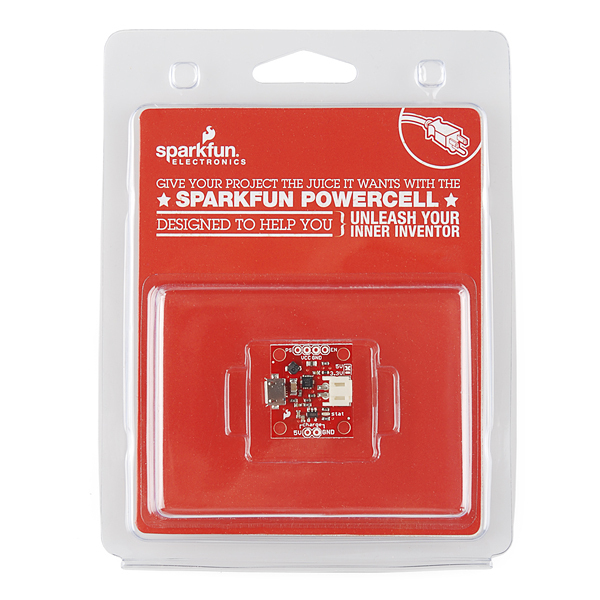 The PowerCell board is a single cell LiPo boost converter (to 3.3V and 5V) and micro-USB charger in one. The board comes with a JST connector for a single cell LiPo battery, a micro-USB connector for the 5V charge input, and selectable 3.3V and 5V ouput pins (labeled 'out'). There are also two charge pins broken out (labeled 'charge'), so you can use another 5V power source to charge the batteries, if you don't have a micro-USB cable. The micro-USB charger uses the MCP73831 and allows you to charge 3.7V LiPo cells at a rate of 100mA max. If you want to charge at a faster rate, you will need to connect a separate power supply to the pins labeled '5V' and 'GND' under the label 'charge'. Is it just me or is the link on the back broken. Sorry about that, these got out faster than we were able to get the page ready. It should be up very soon. Wow, a $5.00 USD for low volume, and $4.00 at high volume, price difference between this and the non-retail packaged version. I guess you guys are serious about limiting the amount of waste that ends up in landfills.